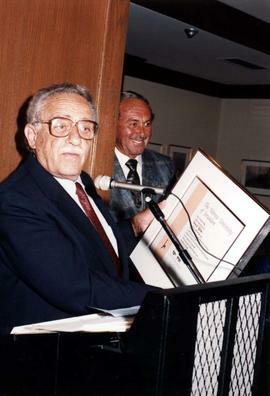 Photograph depicts David Kline receiving a framed award behind a podium. 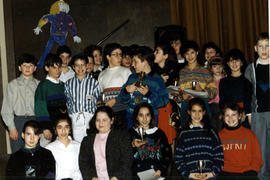 Photograph depicts three unidentified young people with certificates. Photograph depicts a man giving a young woman a trophy. Photograph depicts a young woman with a trophy.